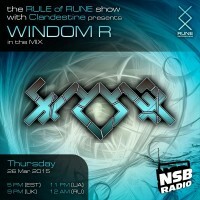 Just in time for the release of his ‘Shaolin Jam’ EP, we welcome Windom R to RUNE Recordings with a special 2-hour show on the RULE of RUNE show! 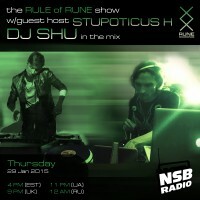 This time, I let Stupoticus H take over the Rule of Rune and he did a heck of an awesome job! 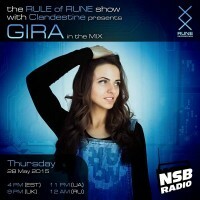 First hour you will hear him throwing some tunes together, and for the 2nd hour we have our guest from Kiev – Sergey SHU – with his outstanding mix! 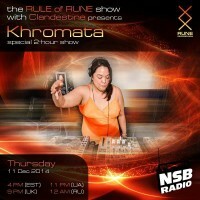 Join us for this week’s edition of the RULE of RUNE, featuring Khromata of the RUNE Label DJ Team. We’ve recently brought her onto the team, as we’ve been impressed with her expansive knowledge with both the psytrance and psybreak culture. Her passion towards music, her contributions to her local San Francisco crews, along with her endlessly-entertaining personality 😉 have consistently impressed us. 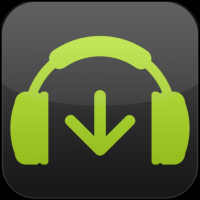 For today’s show – we have Khromata featured for the full two-hour show. 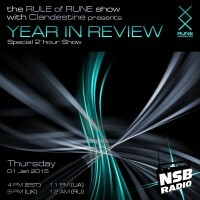 Tune in and join us! 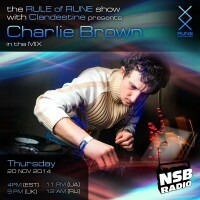 Download the new episode of the Rule of Rune with me Art Clandestine… for the first hour I did something different and played one of our classic mixes from mid-2000’s, full of classy, chunky breaks and for the 2nd hour we had a guest mix from the BreakBeatZone resident artist, a wicked dj and a producer from Ukraine – Mechanical Pressure. 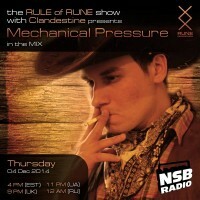 This mix is another one of the special podcast mixes to support the BREAK IN’ DRAG open festival in Ukraine where Mechanical Pressure will be playing this December 12-14…wicked mix!